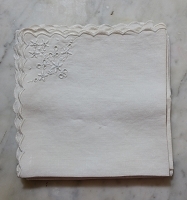 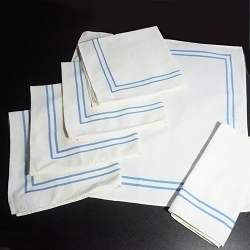 If you're hosting a bridal shower, this set of 7 napkins is the perfect way to accessorize! 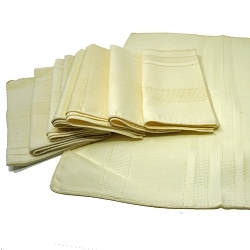 After the party you can launder and iron them and present them as a remembrance of her special day. 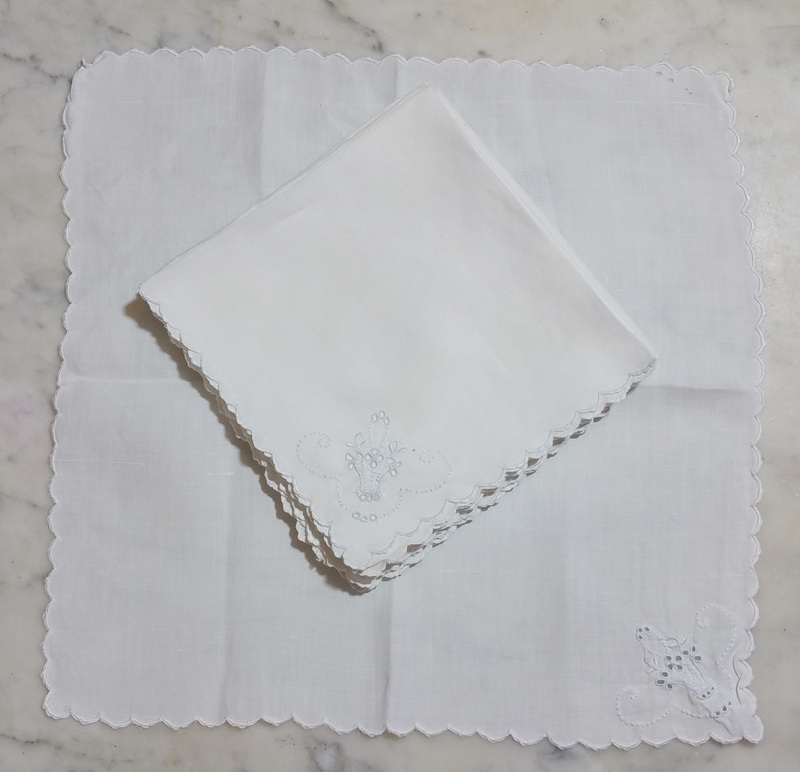 Vintage soft cotton embroidered with light blue bridal basket, great condition, each measures 11x11.